While long hair may sometimes be a bit of a pain to look after, medium length is, in my opinion, the perfect length. 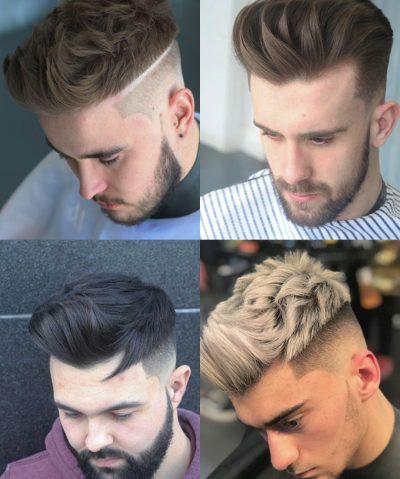 It isn’t too tricky nor time-consuming to take care of hair that’s medium, it allows you to show a bit of character – and it is very versatile. There are tons of medium-length hairstyles to suit pretty much all hair types and face shapes. Hooray! 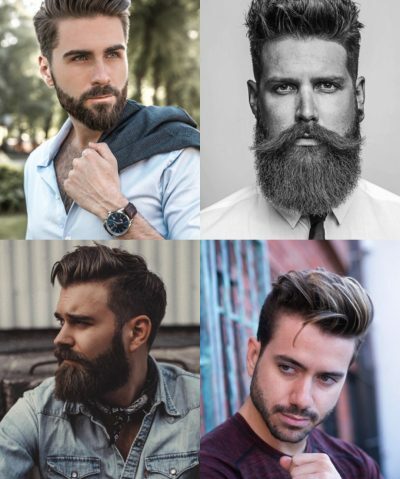 So, whether you’re looking to grow your hair out after a shorter cut, or want a cut f or the sake of change, you’re bound to find a style you dig within these medium-length haircuts we’ve kindly listed for you. No need to thank us – just think of us when you’re rocking a new, uber cool hairstyle. Now – shall we take a look? This classy, but sharp hairstyle is one of my personal favourites. What a magical little gadget a comb is! 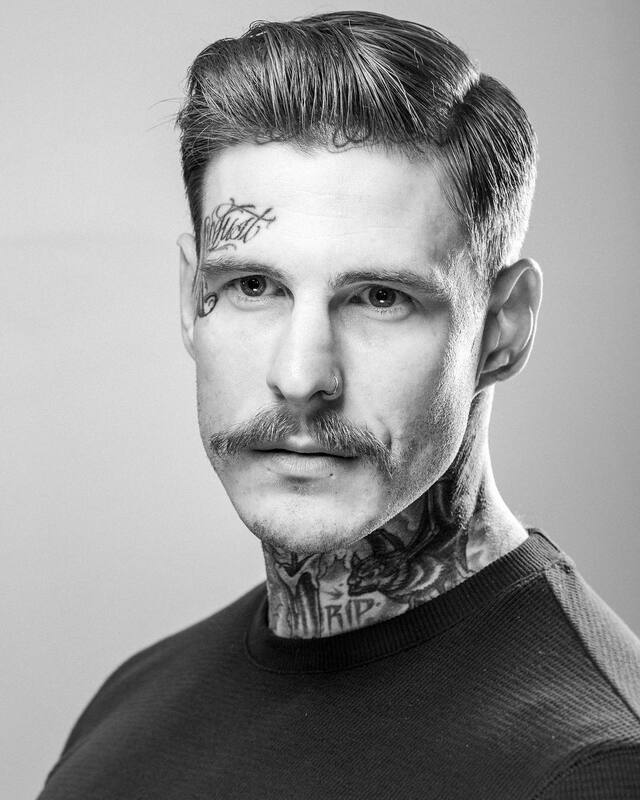 A combover will require a bit of styling effort – and you will need to use a dime-sized amount of some styling cream or water-based pomade. Begin at the roots, then work the product into the hair. Voila! Hello, faded quiff. So, we meet again. 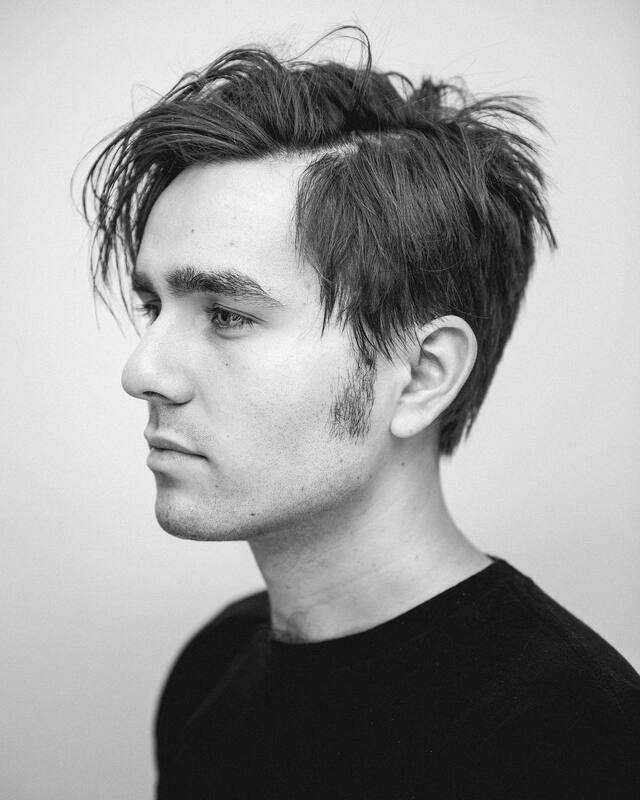 One of the most popular medium-length hairstyles, the quiff is bound to live on forever. 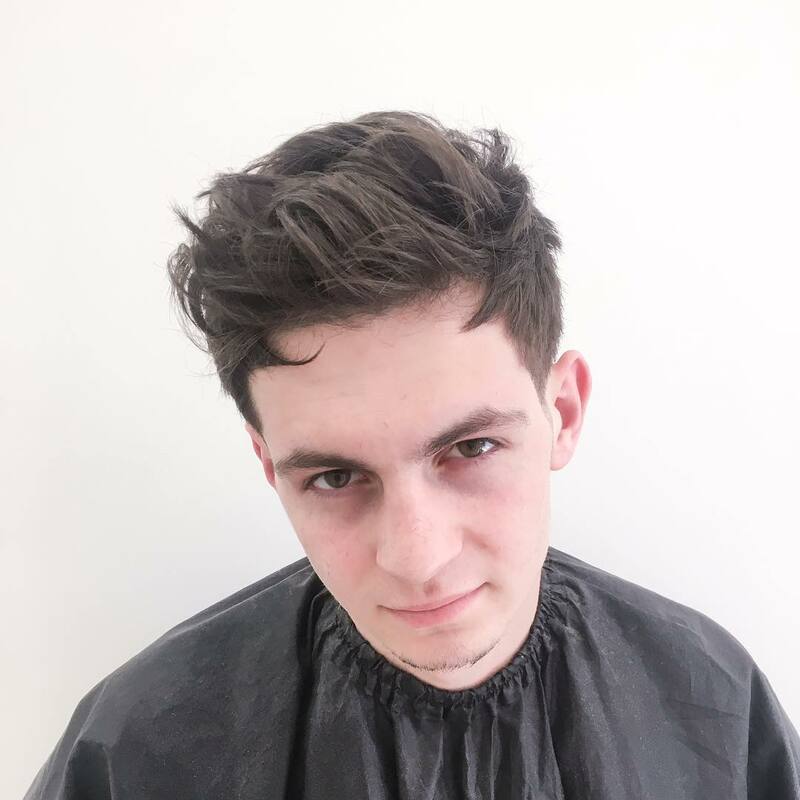 Whether you have curly, straight or wavy hair – the quiff is an absolute star, and if there’s any part of you that wishes to try it out on your own head – you shouldn’t stop yourself. 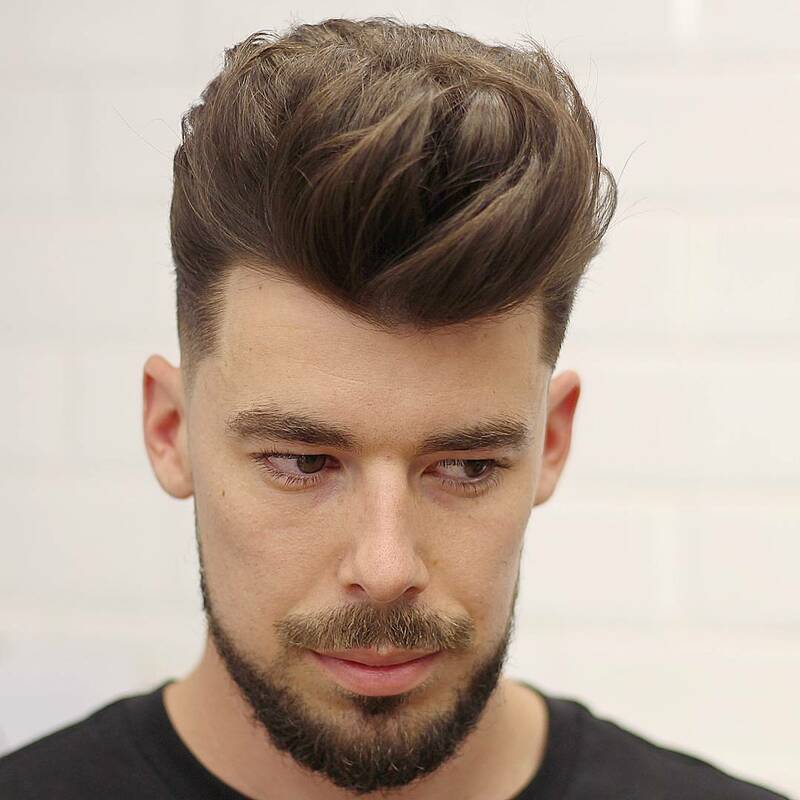 For a more relaxed, low-key hairstyle, try this messy textured top with tapered sides. It’ll let your hair do a little bit more of what it wants to. Because hair was born to be free, right? Now, if someone asked me to imagine a young, hip businessman at the peak of his success, this is the haircut he’d have in my mind. Stylish, obsessively neat and tidy. If you’re into those vibes, the side-part hairstyle for medium hair could be for you! An undercut continues to win people’s votes over and over again – and we already know why. 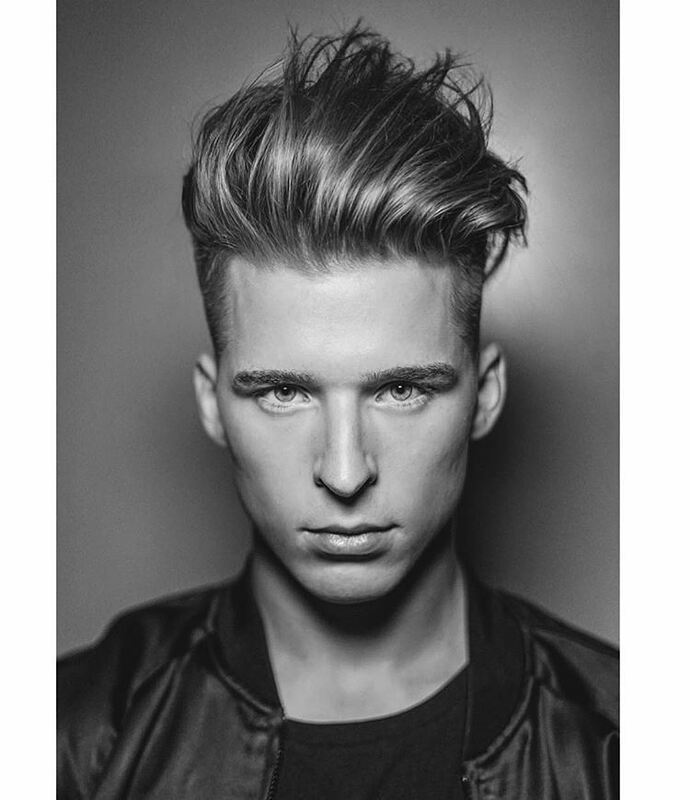 Edgy, young and modern – the undercut is definitely an appealing hairstyle choice for a contemporary man. Combine it with a neat combover – and you have yourselves a winner. 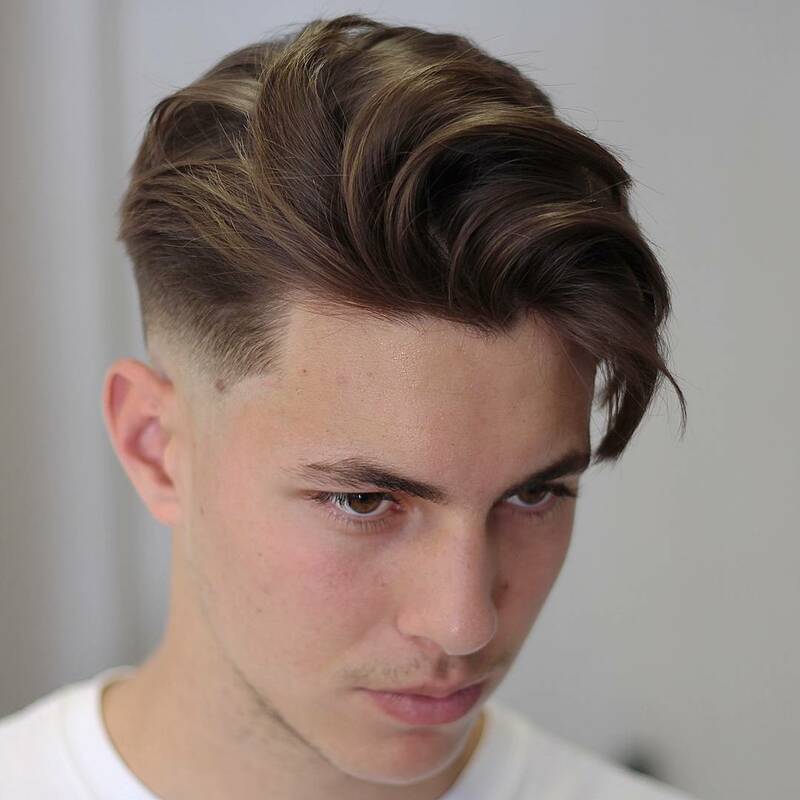 Cool, clean and classy – this is how I’d describe a side-swept medium hair with a fade. 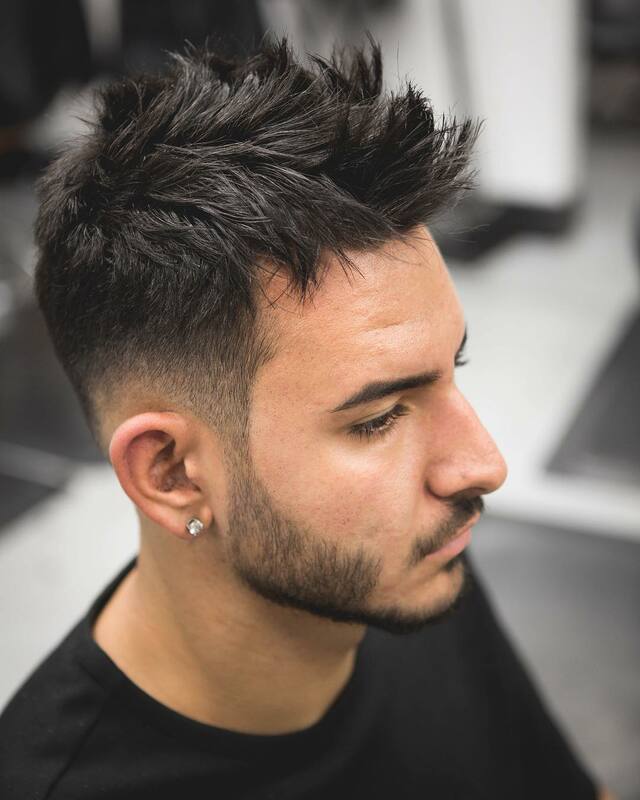 The fade adds an edgier vibe, creating a contrast between the hairy top and the tapered sides – and making your hairdo stand out that little bit more. If you have medium-length hair, there’s no need to chase the trends. The messy medium-length hairdo has all you need – the volume, the messiness and the simplicity – and it takes almost no time to style. In fact, you can pretty much be out the door the moment you get out of the shower. What’s not to like! If you fancy a hairstyle that’s heavy at the front and less hairy on the back, this one is for you! Perfect for guys with bigger than big foreheads. 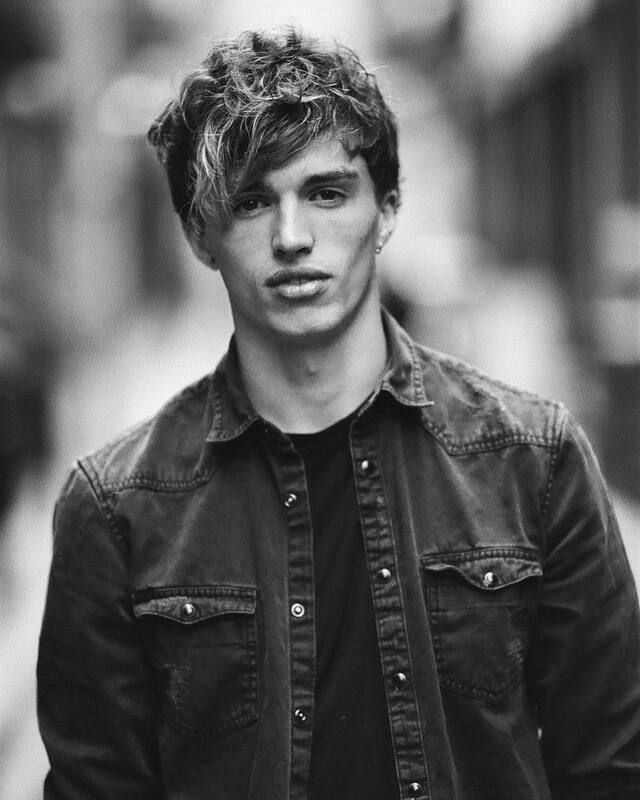 Also – thick hair is a definite advantage, as men with thin hair won’t really get away with a heavy fringe. 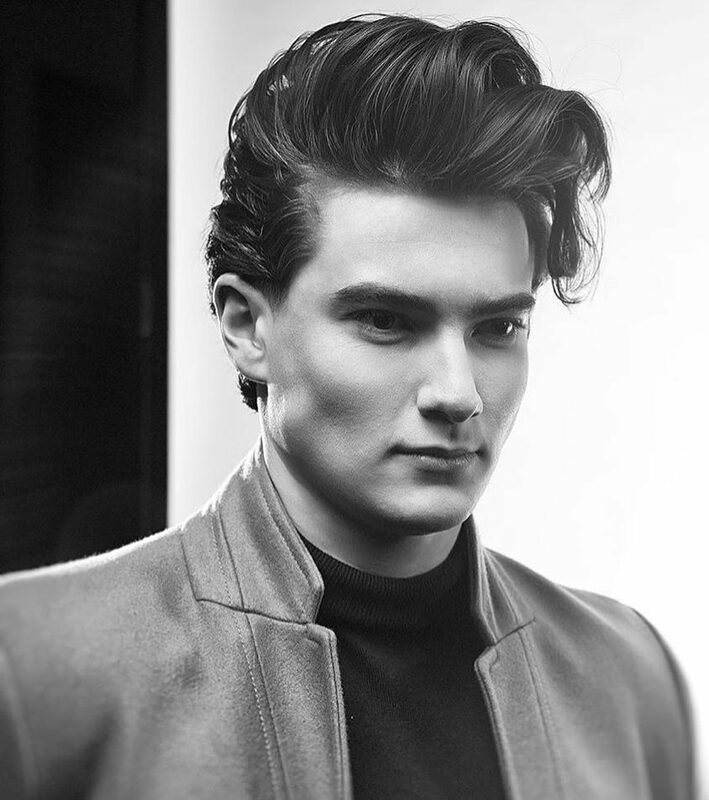 Meet the glorious pompadour – which looks just as elegant as it sounds! We absolutely love its height and volume. 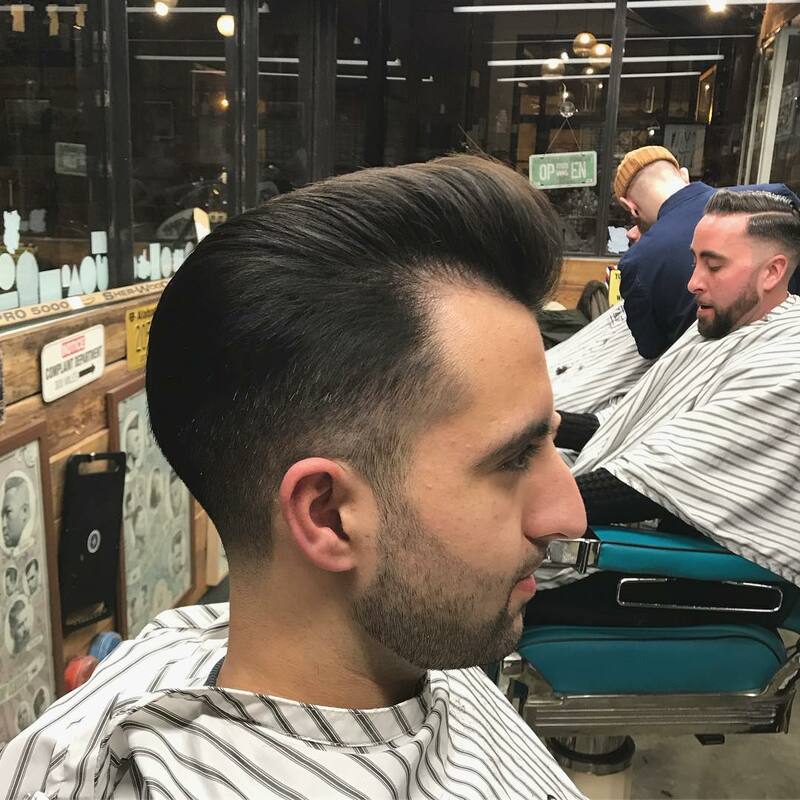 Be ready to spend a little bit of time styling it with a round brush and pomade – we promise, it will be worth it. One more from the classic collection of hairstyles that will forever look cool. 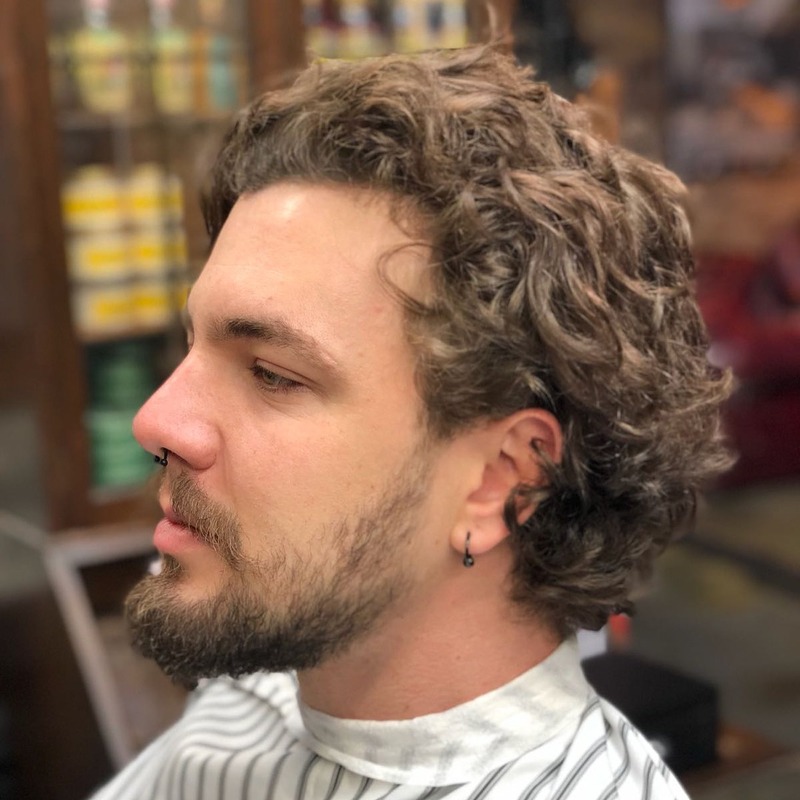 Simple, medium length textured hairstyle will go a long way – and will not take a long time to style (that is, if you choose to be bothered with styling at all). 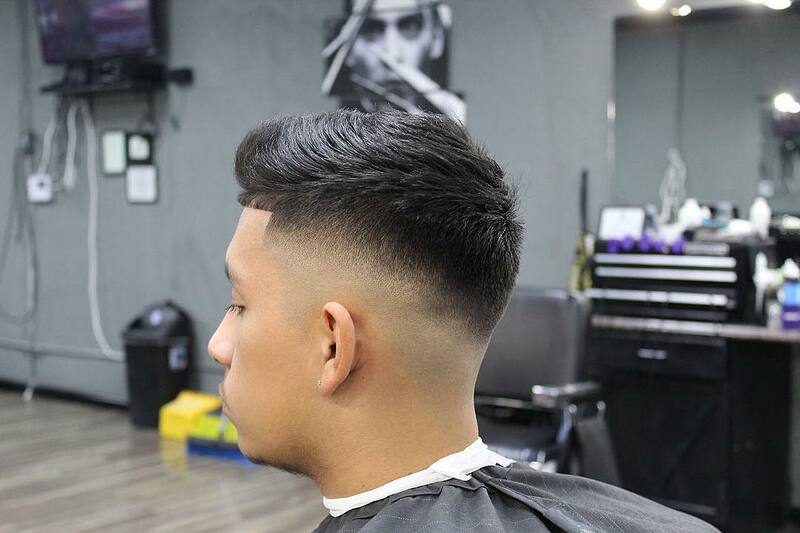 This medium length hairstyle is one of the best we’ve seen so far. It fits men who want to flaunt a new look this year. However, you need proper maintenance and some styling products for shine and hold to keep the great look. Check out this cool medium length with quiff. It gives that volume illusion, so it might fit men who don’t have thick hair. Print this photo out or show it to your barber to steal the look. 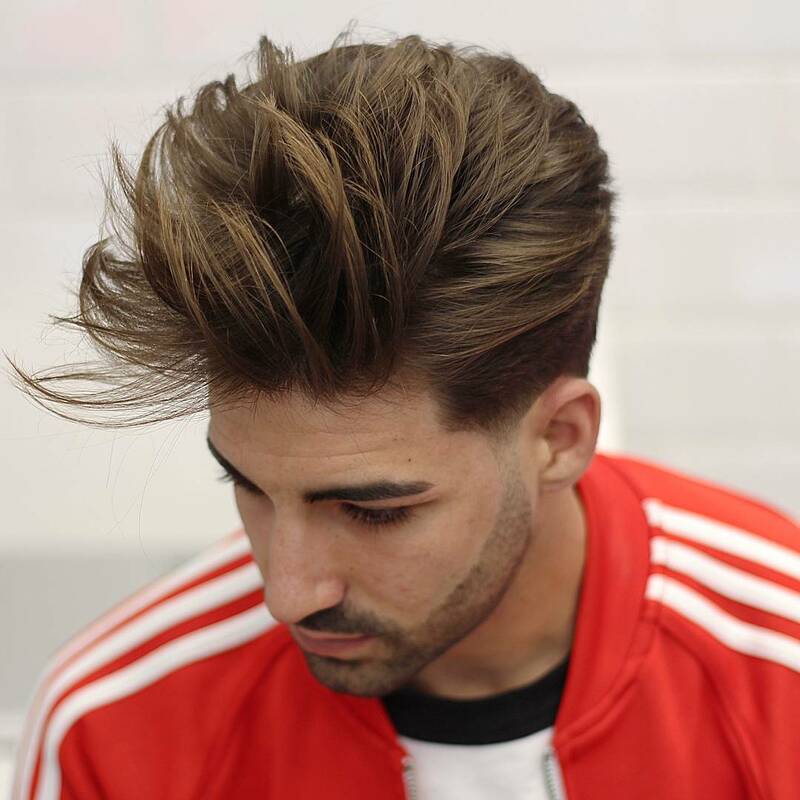 The classic quiff is given a new twist with this quite messy hairstyle that looks amazingly cool. 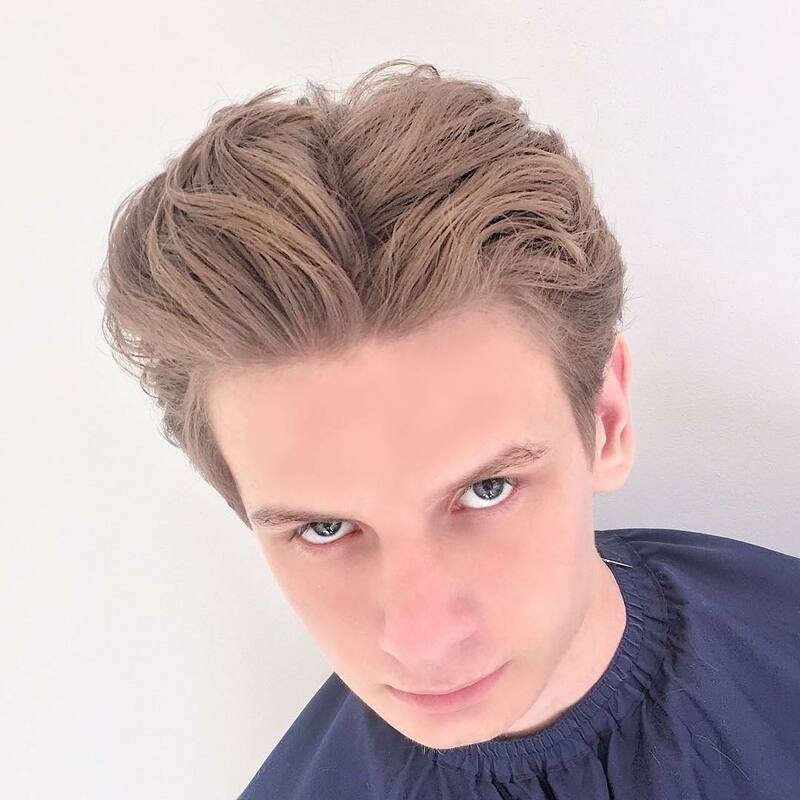 This hairstyle has a long top hair with short sides. Keep the style with some hairstyling products for that firm hold. 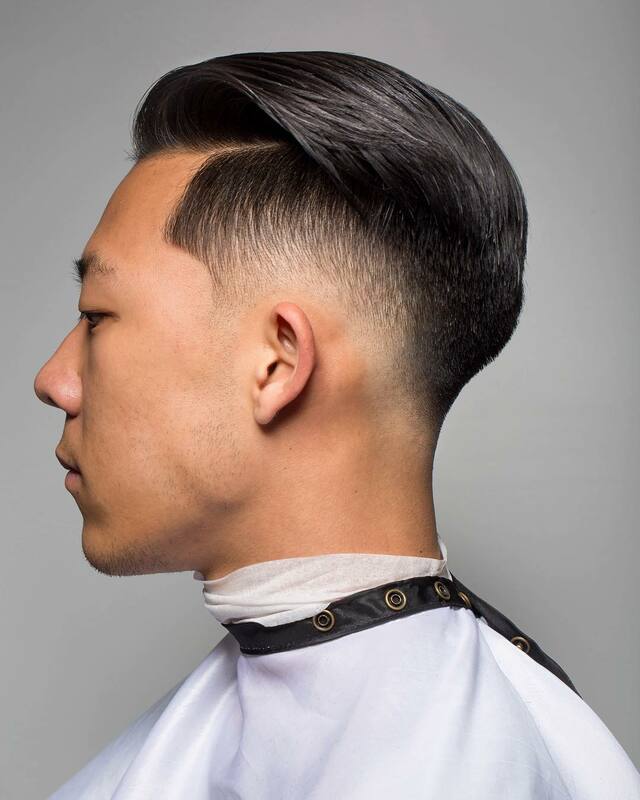 The fade haircut is notable for its longer top and shorter side. 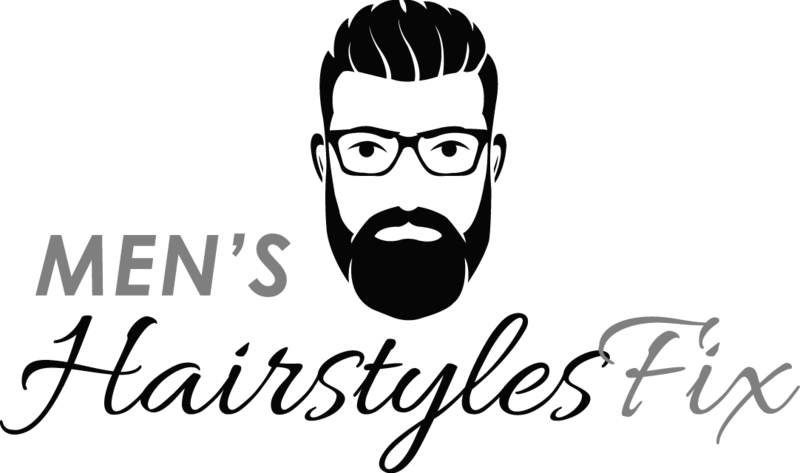 It fits young and adults even with fine hair and works for men with any hair color. Get the look today! This hairstyle is indeed elegant and cool. It highlights this man’s best facial features, including the eyes and nose. The style also highlights the hair design and definition on the forehead. 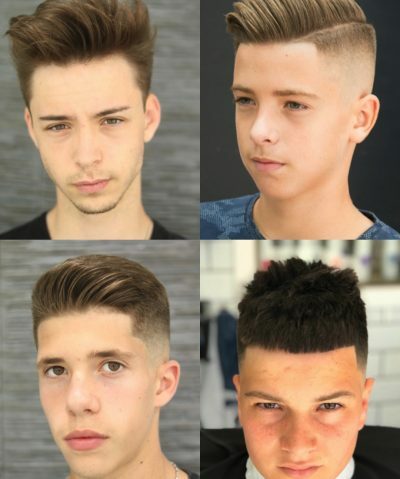 The natural texture hairstyle is perfect for men who want to try a new look. It works for any season and for any function. The style can be worn for formal or casual occasion. 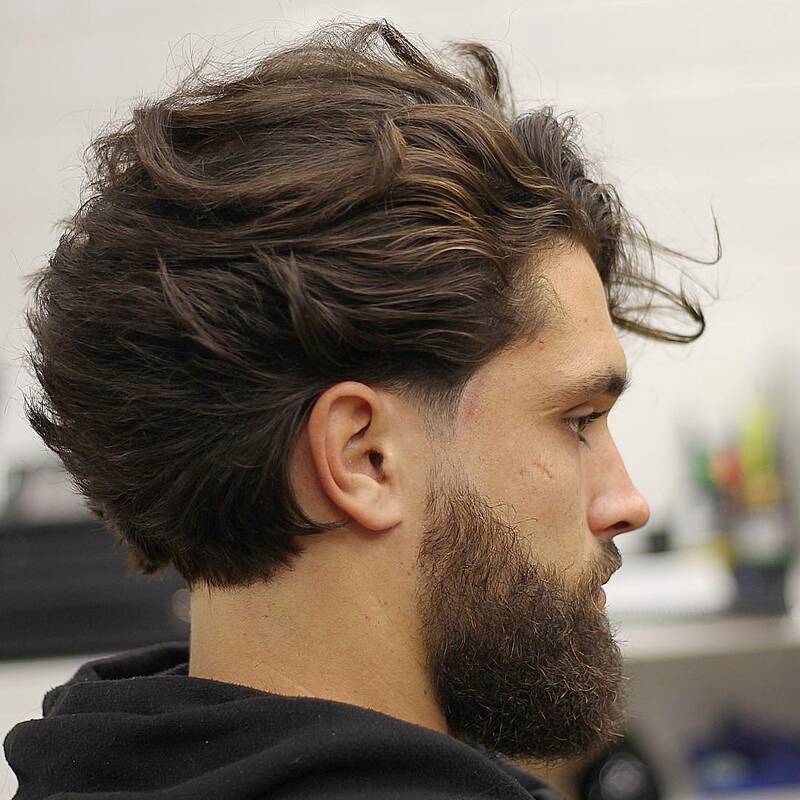 The messy hairstyle works perfectly for men who want to create an illusion of volume to their hairstyle. With some hairstyling products, you’re good to go. 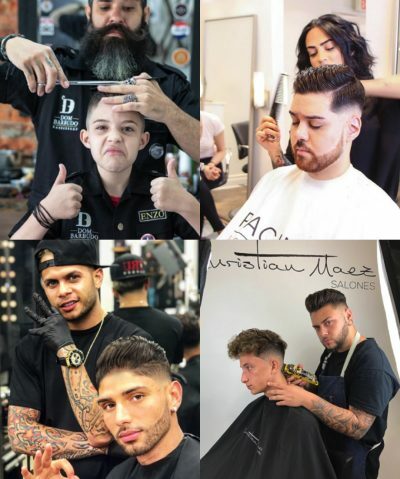 Be sure to get regular maintenance to keep the look and style. 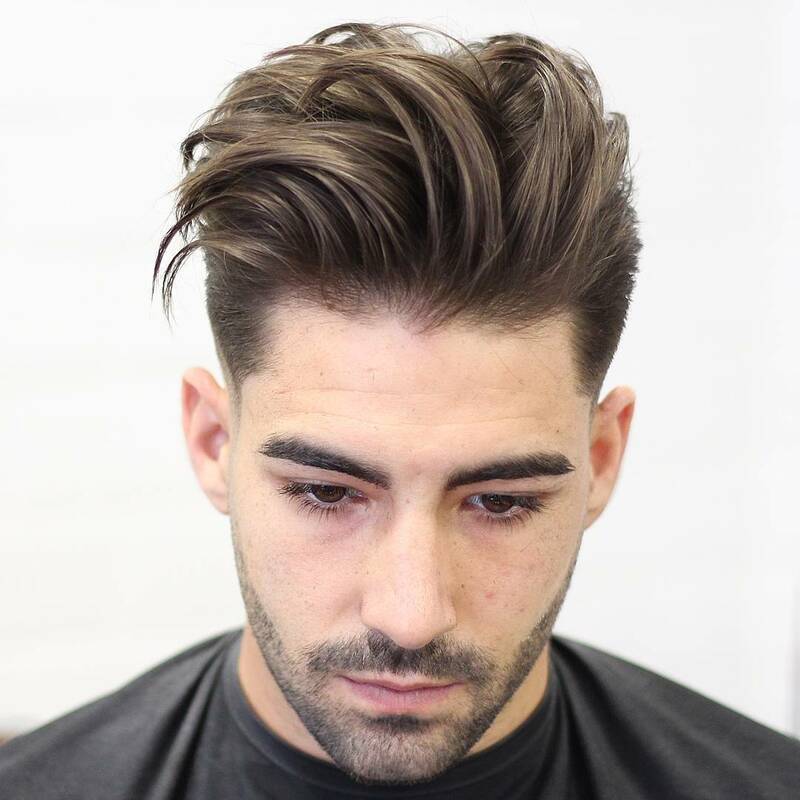 The classic medium cut has a long length top with some messy styling. 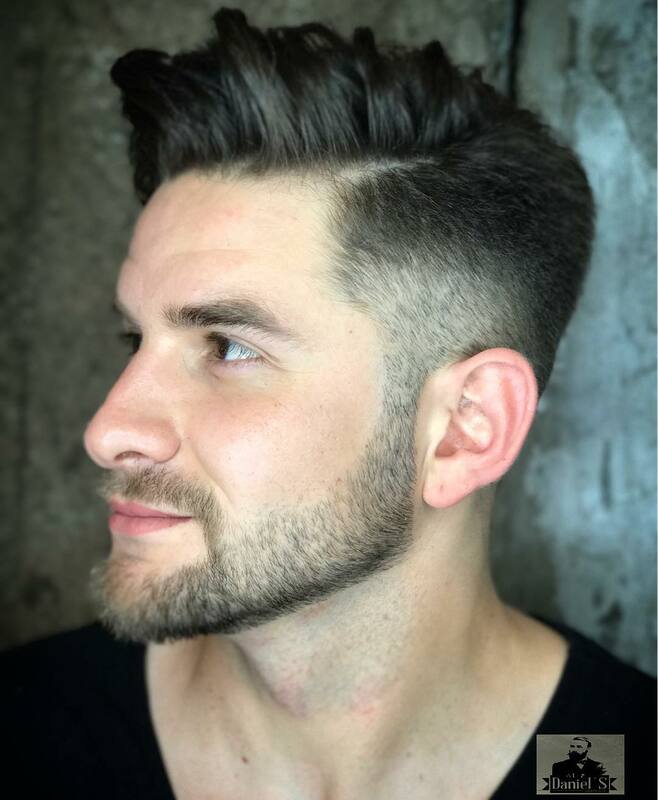 It has short sides that need regular trimming to keep the style of the hair. 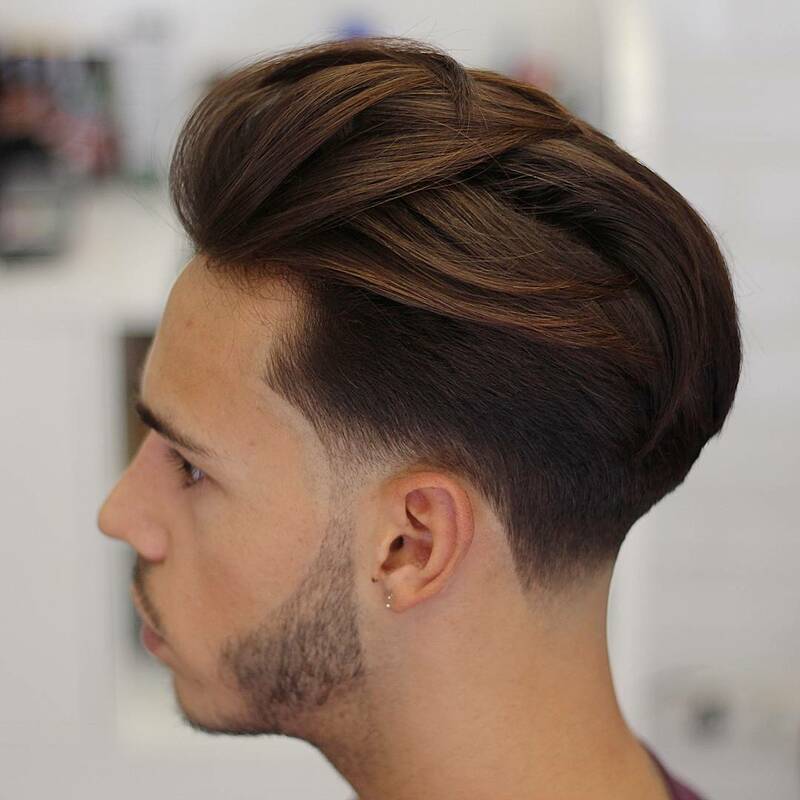 This hairstyle is the perfect haircut for boys. It suits younger kids and teenage boys. 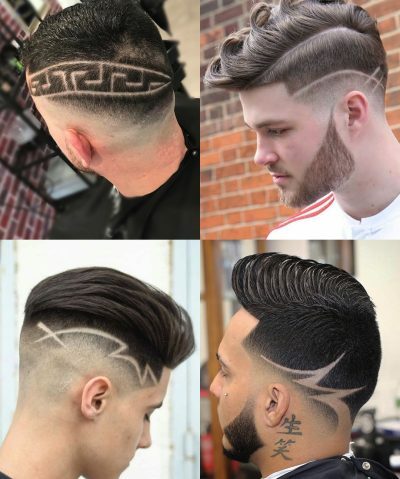 The haircut is also a nice choice for a summer hairstyle. 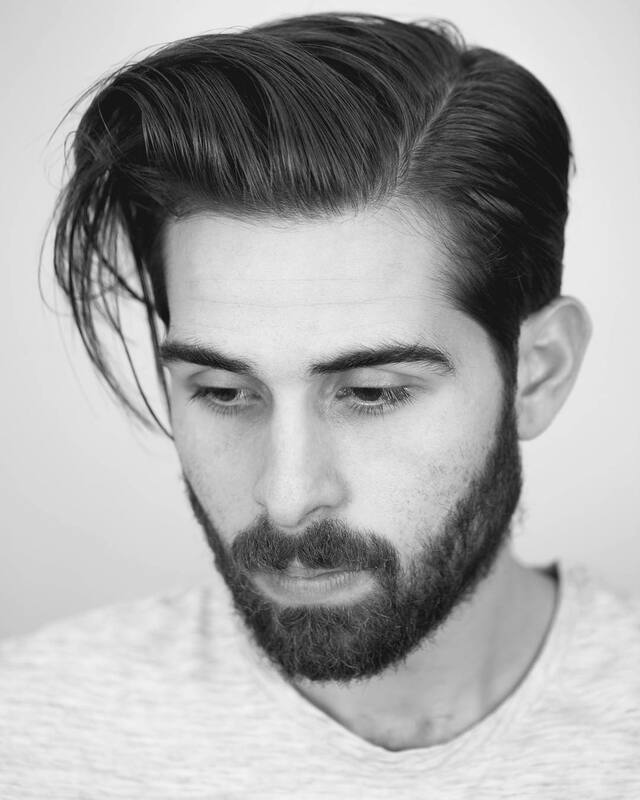 Keep the look with some hairstyling products and maintenance. The classic spike is the hairstyle for men who want a less maintenance haircut. It works for any hair color, type and thickness. To keep the spike though, be sure to use the right hairstyling products. 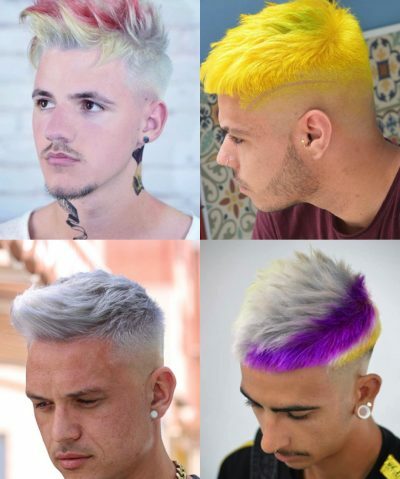 Get the look today!